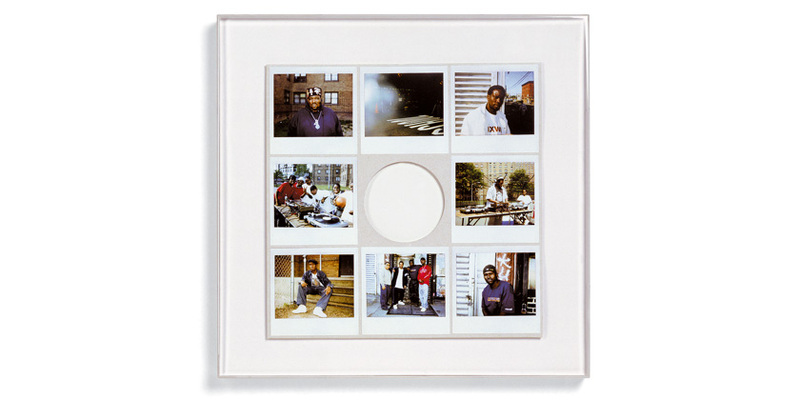 Photographs, mounted on cardboard record sleeve 31.5 x 31.5 cm (12½ x 12½"), in plexi box 41 x 41 x 3.5 cm (16 x 16 x 1¼"). Edition of 30 (+ 10 A.P. ), signed and numbered. »Everything you look at, any object whatsoever, or image, has been thought about, selected and been subject to huge activity.« Since the early 90s, Pierre Huyghe has been interested in the discrepancies between the real and its representation, primarily in modern entertainment industry media. The artist is concerned with activating the spaces and times that appear between different media and genres, between sound and image, between two pictures in a series, or between a site and its media representation. He wants to make it clear that these are particular sites where critique and re-appropriation can begin.